FREE Complementary Health Taster Sessions will be available on Saturday 9th April at Salus Wellness Clinic in Cambridge in aid of the victims of the recent tragic events in Japan. A range of health checks and treatments will be on offer at this one-day fundraising event including Acupuncture, Hypnotherapy, Massage, Osteopathy, Reflexology and Reiki. Salus Wellness Practitioners will offer free taster sessions of 20-30 minutes each and all we ask is that you donate whatever you can to help the people of Japan. All 100% of the proceeds will be donated to the Oxfam Appeal for Japan. So come along for a free taster session of your choice and together we can make a small difference! 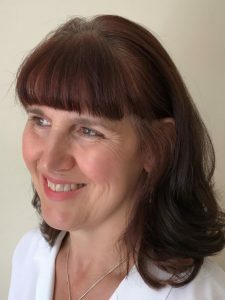 I will be available on the day offering taster Hypnotherapy Relaxation Sessions so, if you have always been curious about Hypnotherapy and would like to try it, please come and see me. There are many myths floating around in the public consciousness about hypnosis so please be assured that you will be aware and in control but may be surprised at just how relaxed and calm you will feel afterwards. For further information about Salus Wellness practitioners, treatments and directions to the Clinic go to www.salus-wellness.com.